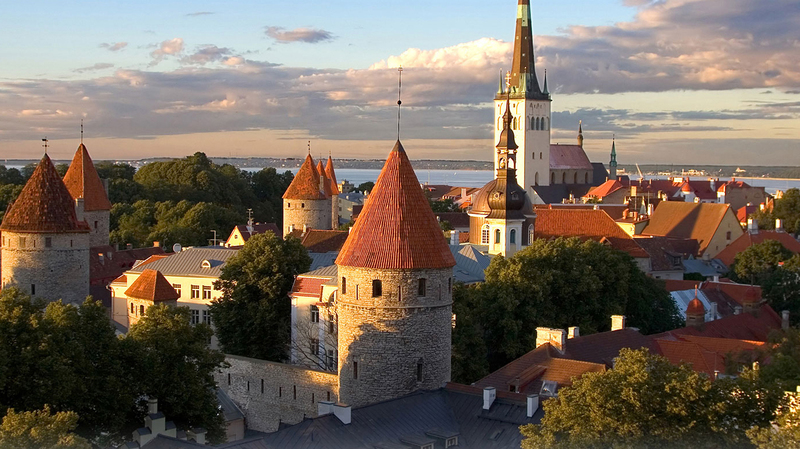 Search for the best flight prices from Stansted to Tallinn. Compare prices, book today and save money with Stansted Airport. Amongst the splendid mixture of carved stone buildings and futuristic glass walled malls of Tallinn, visitors will be enchanted by the blend of old and new. Hiding behind the medieval face of the city is a treasure-trove of outstanding retail and dining options, with a sophisticated selection of trendy and innovative restaurants on offer. Tallinn is a city of contrast, and the hotel accommodation in the Estonian capital reflects its two faces. Quirky guesthouses and chic urban mansions permeate the Old Town, while a brief stroll away you will find the business district and a selection of skyscraper chains and contemporary boutiques. For a dose of old-world charm try the Hotel Telegraaf (Vene 9), notable for its spa, while the L’Ermitage Hotel (Toompuiestee 19) is architecturally superb. The Baltic Hotel Vana Wiru (Viru 11) is an excellent budget option full of style. Tallinn is ever-improving when it comes to its consumer-friendliness, with a number of modern malls complementing the burgeoning designer outlet scene and souvenir shops. In spite of the growing tourist industry, there remain opportunities to find luxury items at inviting prices. Seek out bargains on big names in the shops windows of Viru and Müürivahe streets, while the outdoor knit market along Müürivahe is another draw. Check out the designer goods at Estonian brands such as Hula (Pikk 41), Kristiina Viirpalu (Suur-Karja 2) and Lilli Jahilo (Veerenni 24C), or for traditional souvenirs head to the Estonian Handicraft House (Pikk 22). There is a wide variety of dining options to be found behind the medieval facade of the Old Town, including homely pubs such as Alfred’s (Rahumäe tee 25) and a selection of trendy ‘vinotheques’, which contribute modern additions to Tallinn’s gourmet scene. A highlight of these is Gloria Wine Cellar (Müürivahe 2), a stylish spot nestled right into the medieval town wall that offers the widest choice of vintages found anywhere in the Nordic countries. For a traditional meal head to Olde Hansa (Vana Turg 1), the food isn't cheap but the medieval theme and authentic menu is a treat. Dispel the chill of winter at this lively celebration that includes ice sculptures, fire sculptures, and a range of artistic workshops. The Fire and Ice Festival takes place every January and February and is a great antidote for the cold weather. The military parade that takes place on Freedom Square at 11am is a highlight of this celebration of the Estonian Republic’s birthday, which sees other parades, religious services and fringe events add to the festivities. Each year this long-running jazz festival sees over 60 concerts make up one of Tallinn’s most popular annual events, with buskers and open-air performances contributing to the spectacle. Big names such as Manic Street Preachers, Moby and Mika have all performed at this multi-day festival in the past, which also offers bungee jumping, a beer tent and amusement attractions. This summer dance festival is the biggest of its kind in Estonia, and combines traditional with contemporary music. Performances take place in theatres and on the streets of Tallinn.